We all experience it...from the day we are born until the day we die! Disappointment! 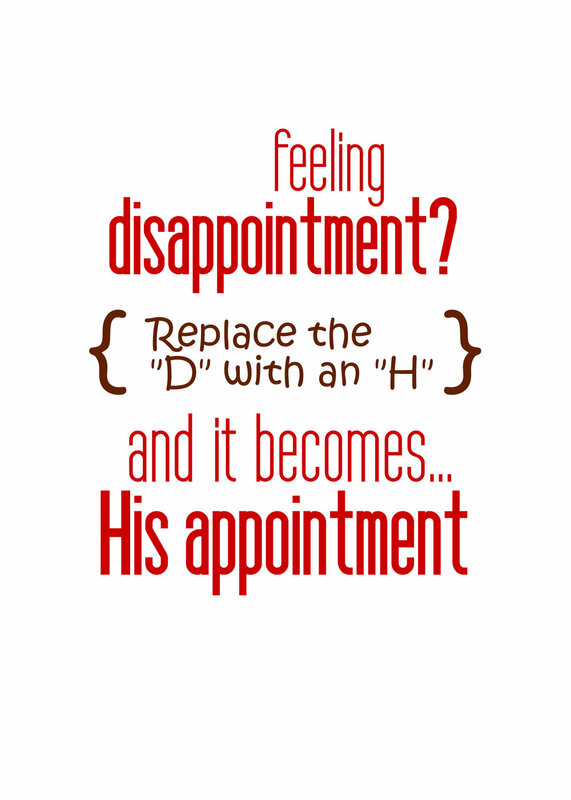 Unmet needs, unfulfilled expectations, failed relationships, frustrated goals, and on and on...Disappointment! Think about it! Has this been your experience? It has mine. Years ago, when my health was breaking...and there were no answers...and there was no one to believe me -- not my doctors, not my loved ones -- that's when I found the Lord in the deepest part of my being. Now I thank God for that very dark time...because I was abandoned to HIM! And I've never been the same. Maybe you are facing deep disappointment right now. Turn your eyes away from the external things. Instead turn your attention to the Lover of your soul -- enjoy HIM as you never have before! 'Cause what if Your blessings come through raindrops What if Your healing comes through tears? What if a thousand sleepless nights Are what it takes to know You're near? 'Cause what if Your blessings come through raindrops What if Your healing comes through tears? And what if a thousand sleepless nights Are what it takes to know You're near? What if my greatest disappointments Or the aching of this life Is the revealing of a greater thirst This world can't satisfy? And what if trials of this life The rain, the storms, the hardest nights Are Your mercies in disguise?